Here at Oak Tree Mobility, we believe that everyone should be free to live a rich and fulfilling life. 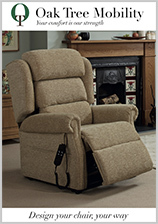 This belief affects everything that we do and is reflected in our range of handmade rise and recline chairs, adjustable beds and bath lifts, which have already empowered thousands nationwide to enjoy the independence they deserve. 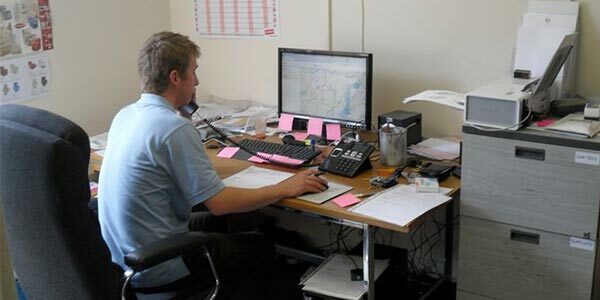 Oak Tree Mobility was founded back in 2008 when directors Ricky Towler and Tom Powell set out to create a mobility business that did things differently. Frustrated by their experiences in the mobility sector, Ricky and Tom established Oak Tree as a reaction against the poor customer service and tired-looking products that seemed to come as standard. From day one, we have been all about you, the customer. At Oak Tree, we know that our products change people's lives, and it is this that drives us forward. We are on a mission to help as many people as we can, and never losing sight of this allows us to focus on doing what we do best: bring you top quality craftsmanship and excellent service, all at an affordable price. 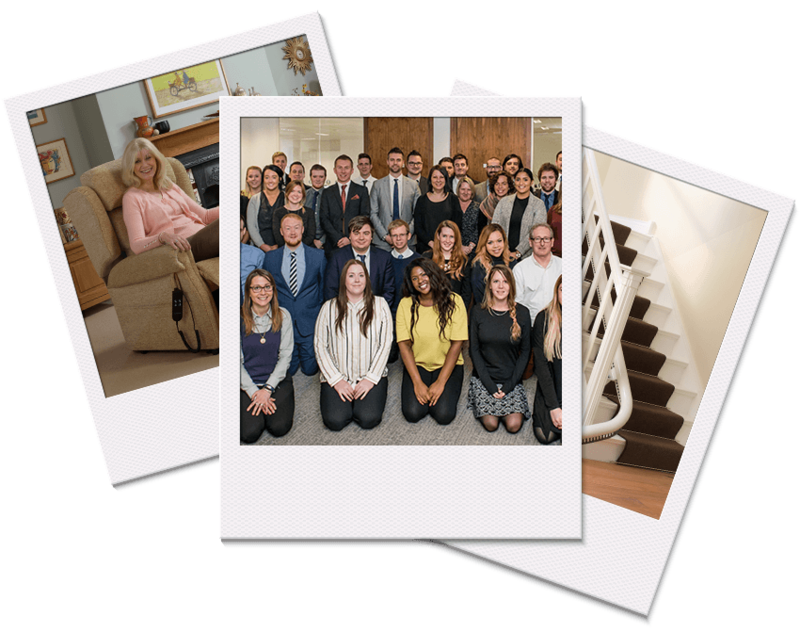 It is clear that our customers share our passion, and over time, we have become known throughout the UK for our fantastic prices, unparalleled quality, and first-class service. We love what we do, and we're confident this will shine through from the moment you pick up the phone and give us call. 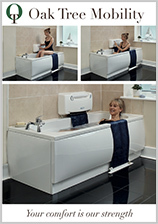 "Your Comfort is Our Strength"
From the outset, we wanted our customers to know that were are a truly British company. After careful consideration, we chose the name Oak Tree and the phrase 'Your Comfort is Our Strength' for everything they represent: tradition, support, reliability, and Britishness. 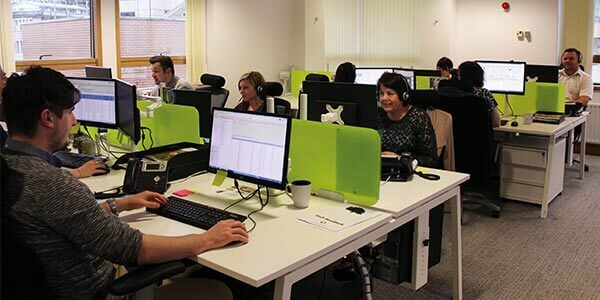 Oak Tree Mobility is a hugely dynamic and vibrant company. We put people first, and that is what makes us so successful. Each member of staff has a clear understanding of the company mission, vision, and values, and this has a big impact on the everyday management of teams. Managers are collaborative, and inter-departmental communication is encouraged, fostering the sense of togetherness that makes Oak Tree such a great place to work. Tom Powell (left) and Ricky Towler (right) founded Oak Tree Mobility. They are shown here with their very first rise and recline chair. 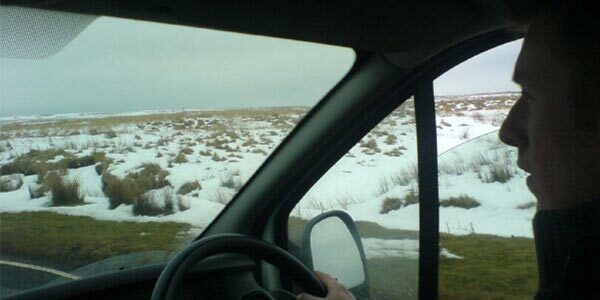 Ricky and Tom drive through snowy landscapes to their first appointment with a customer. 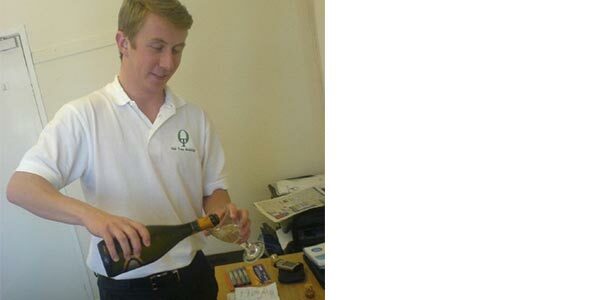 Tom pours a glass of bubbly to celebrate Oak Tree Mobility’s first customer. 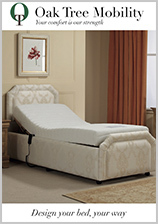 Oak Tree Mobility upgrades its product line and begins selling adjustable beds along side its rise and recline chairs. Oak Tree Mobility grows and acquires new office space in south Bristol. 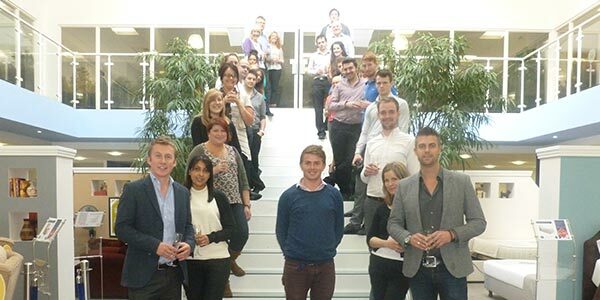 New members of staff join the company as it continues to grow. Many of these people are still with Oak Tree Mobility today. 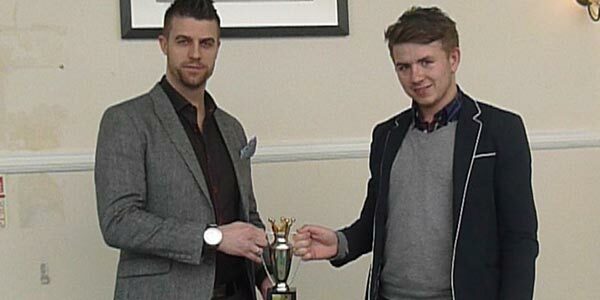 Sales team member Ollie Price wins the first staff award for his contributions to the company. Oak Tree Mobility moves into brand-new, custom-built offices. 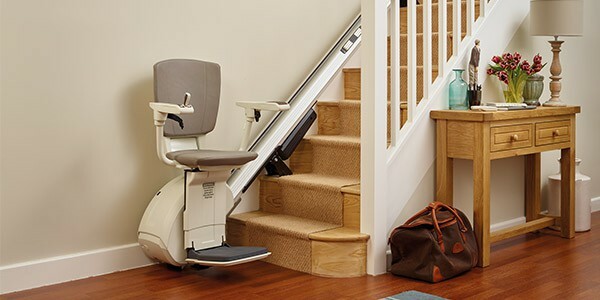 The company expands into the stairlift market with both its straight and curved stairlift. Oak Tree mobility moves into its current offices in central Bristol. By this point, the company employs more than one hundred people. The company hosts its first gala event, bringing together employees from across the United Kingdom. 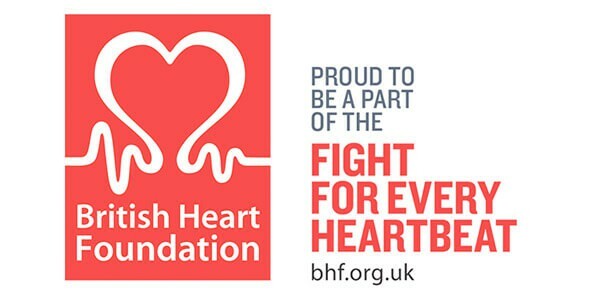 Oak Tree Mobility enters into a fundraising partnership with the British Heart Foundation, helping them raise thousands of pounds.